Individual arrival in Oslo. Transfer from the airport to the hotel on your own. 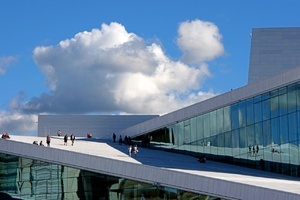 Oslo is the Viking city, the culture city, the winter capital, the city of rolling green hills and spectacular fjords and the capital city of Norway. 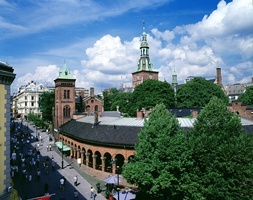 Since 1814 (then: Kristiania), when Norway was declared independent of Denmark, Oslo has been the capital. Breakfast at the hotel. 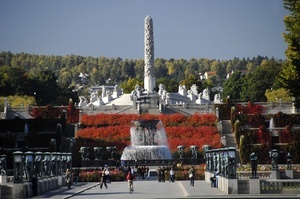 Today enjoy the scheduled sightseeing tour Oslo Grand Tour which includes: A bus trip through central Oslo, a photo op at the ski jump at Holmenkollen, and Vigeland Sculpture Park. On Bygdøy, you will visit the Viking Ship Museum. Afterward, you'll have a choice of activities: learn about the incredible expeditions of Thor Heyerdahl at the Kon-Tiki Museum, or head to the Fram Museum to learn about polar history. 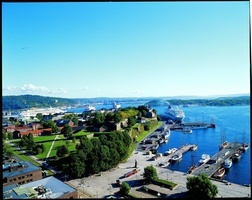 Finally, you will experience the Oslo Fjord on a 2-hour guided boat tour (only if weather permits). Rest of the day is free at leisure. After breakfast walk from your hotel to the central train station and depart for one of the most beautiful rail trips in Europe: the Norway in a Nutshell tour. Morning departure from Oslo by the scenic Bergenbanen. This unique and popular day-excursion takes you through some of the most magnificent scenery to be found on the west coast of Norway. Today skilled workers, effective equipment, tunnels and snow-tunnels make the railway one of the safest and most comfortable ways of traveling between Oslo and Bergen. The journey on the Flåm Railway is regarded as one of the highlights of the Norway in a Nutshell tour. The 20 km-long train journey from the mountain station of Myrdal down the Flåm Valley to the fjord village of Flåm takes around 55 minutes. Enjoy some of the most magnificent mountain scenery in Norway with an ever-changing panorama of snow-capped mountains, thundering waterfalls and quaint villages. Along the route the train moves slowly or stops at the best views. Upon arrival in Flåm you walk to your hotel for check-in. Rest of the day at leisure. Breakfast at the hotel. In the morning enjoy the Heritage FjordSafari - Take part in a unique adventure in the UNESCO fjord landscape. RIB boats offer an intimate experience of the fjord and mountains in this stunning World Heritage Site. In afternoon, you continue your journey on the Norway in a Nutshell tour by boat. The journey goes out from Aurlandsfjord into the Nærøyfjord, the narrowest fjord in Europe, now included on the UNESCO World Heritage List. Surrounded by mighty mountains of up to 1,800 meters high, this branch of the Sognefjord is amazingly beautiful. On the journey there are views of the small traditional farms. A coach journey offers beautiful views of the Nærøydalen valley from Stalheim Canyon road, one of the highlights of Western Norway. Short stop at Stalheim Hotel. The Stalheim Canyon road has 13 steep bends; enjoy wonderful views of the Stalheimsfossen and Sivlefossen waterfalls before the journey continues to Voss. From Voss continue the journey by train to Bergen. 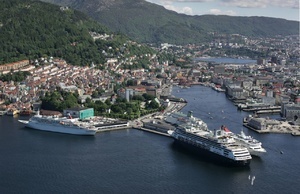 Arrive in Bergen and transfer to your hotel on own. Breakfast at the hotel. Explore Bergen with City Sightseeing & Fløibanen combination on a hop-on, hop-off bus tour that covers all popular Bergen attractions. 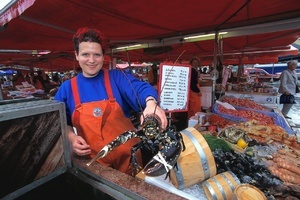 On this hop on hop off tour you are free to create your own sightseeing itinerary. You can hop on at any of Bergen’s stops and hop off whenever you want to visit one of the attractions. This 13-stop tour ensures you will not miss a single sight or attraction in the city. You may hop on and hop off at any of the above-mentioned stops at your convenience and then hop back again when the next bus comes along. Breakfast at the hotel. 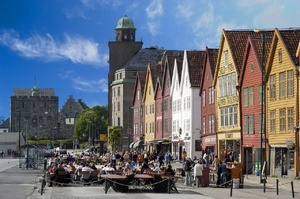 Check out from the hotel and departure from Bergen by own arrangement. 6 day tour Norway In A Nutshell was exactly what we needed and expected. Thank you, Dora, for arranging this splendid tour for us. It was soo wonderful! The Norwegian nature stunned us. All transfers and sightseeing were very efficiently arranged to full satisfaction even of the most demanding travelers. We'll be booking again with you next year. I worked with Susie to book my specific tour requests. Her advice was very good and helpful regarding tour times, crowds and hotels. The bookings for bus, train and boat were through Norway in a Nutshell. There were some schedule issues with them. After taking the train from Bergen to Voss the bus schedule information was not accurate. The 1:00 bus to Gudvangen only let off riders- it was at the end of its day. There was another bus at 2:00 listed, however, that was a different company and the pre-paid tickets were not honored. Finally, we got a 3:00 bus which got us to Gudvangen for the boat to Flam. I'm not sure what happened with the scheduling, but Norway in a Nutshell needs to get it accurate. Our Hotel Opera in Oslo was outstanding! We greatly enjoyed the Flamsbyrgga Hotel in Flam...very cool and had a great brewery attached. The Thon Hotel we stayed at in Bergen had a great location right on the city square. However, the room was very small and not what was represented as to what I had requested. No other rooms were available for changing so we stayed in the one assigned. The desk staff at this hotel were less than helpful as the oscilating fan in the room was broken, the luggage rack was also broken and there was no maintenance personnel available for 2 days. Not acceptable. The breakfast at this hotel was, however, fantastic. Overall, I was pleased with my experience with Nordic Saga and can highly recommend them. The services are based on public transportation and are on an individual basis.